Event in a category all it’s own. 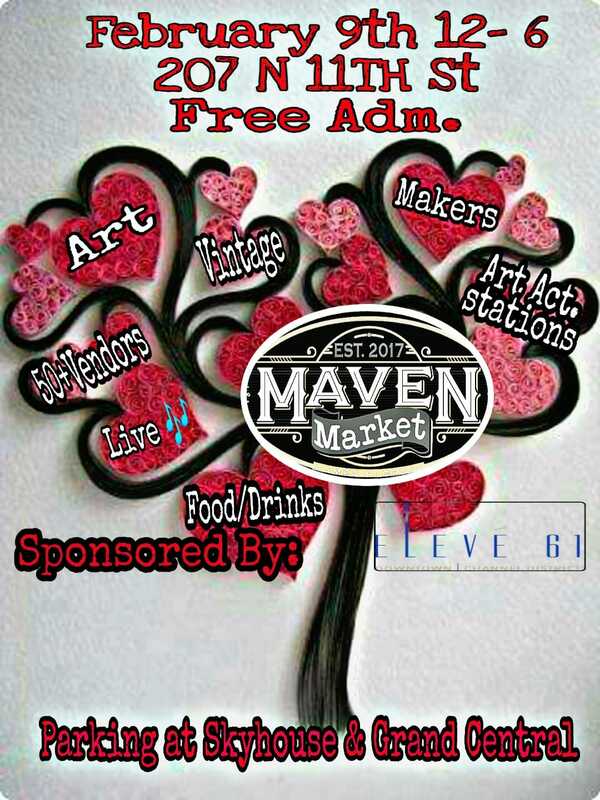 Artists, movers & shakers in the Tampa Bay area/whose purpose is to bring the Arts, Community together to match the massive development boom happening in Channelside an #Artisan #foodie #spirits #entertainment #CDCA #Channelside #thingstodo #Tampabay #downtown #vendor #Market at Maven Designs. 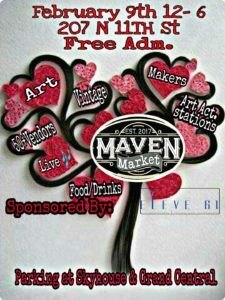 Join us in a creativity, love, celebration fest! Love ballad karaoke…what a perfect present singing a love ballad to your one and only, friend, family or just jamming out to your favorite tune & interactive make & take art activities, find that 1-of-a-kind gift for your 1-of-a-kind or yourself!